I’m sure there are many of you still shivering, despite what the calendar says. But here in Georgia, lawn mowers are running and daffodils are swaying and I’m cleaning out my closet. See, I don’t have room in my closet for all the seasons of clothes. 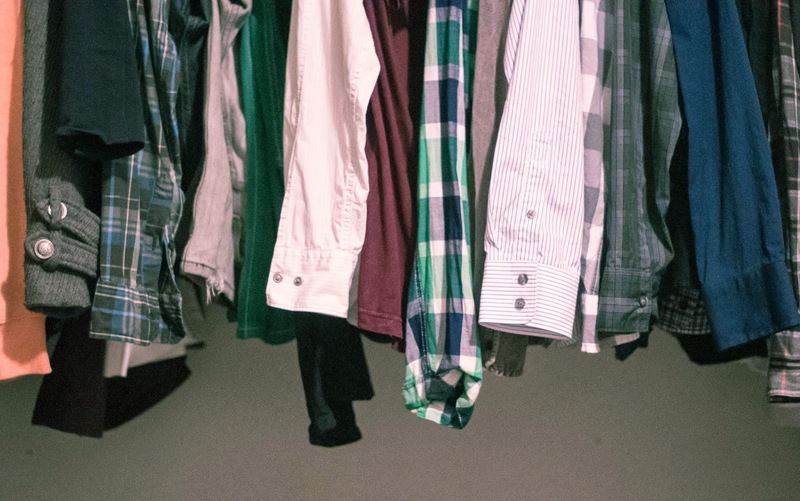 And so this week, I carried all the winter clothes—the sweaters, the flannel shirts, the heavy slacks—to another closet, to make room for the cotton skirts, linen blouses, and shorts. It takes longer than you might think because I cull the clothes as I go. Did I wear this at all in the last six months? Does this really fit or am I just kidding myself? Can I finally throw away this robe I’m keeping because I wore it when I brought my first-born child home? Yeah. It’s pretty time-consuming. And a little psychologically taxing. But as I sorted and tried on clothes today, I started thinking about writing. Mostly, about the draft I need to revise. And specifically, I considered that maybe I should be as ruthless with my manuscript as I am with my clothes. Er…I like that character, but she’s not that important. So she needs to go. And what about this chapter I love and squeezed into the first act? It’s pretty and well-written and definitely interesting. But does it fit in the first act? And finally, there’s my weak spot. Those are the funny bits in my stories, the jokes I’ve included that make me chuckle. But I know (because it’s been pointed out to me a lot) that my funny bits don’t always move the story along. I hate cutting funny bits, but if they want to stay, they have to earn it. It’s not always easy, taking a good long look at a first draft. But I’m sure you’ll find, like me, that there’s plenty of good writing to keep. That helps when the psychologically taxing moments come along and you have to let go. Super-duper clever, connecting the cleaning of the closet to revising your manuscript. Yeah, I'm right with you. I hate to cut the funny parts but if they don't belong, they're outta there. I have to do that with my closet too, which is much easier than with my manuscript! I'm with Margo--my closet is hideous right now. I think I'm going to have a much harder time cleaning it out than my latest YA manuscript :-) You know what I need to spring clean? My hard drive! There is so much clutter/crap on there that needs to be refiled, organized, or just plain old purged. But I never make it a priority, unfortunately. It was interesting to see how you revise your MG, as I've only written pbs and now that I'll be revising my MG, I've been reading web sites and blogs w/advice.